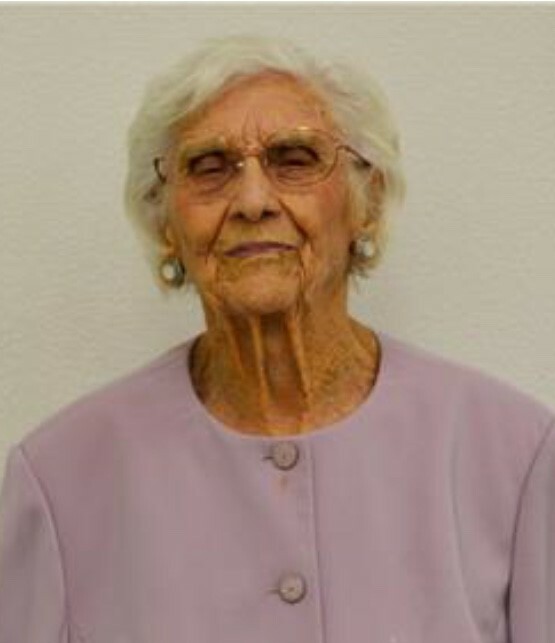 Oletha “Sue” Hamilton Heine passed away peacefully at the age of 95, on Saturday, March 30, 2019. Sue was born, the oldest of six children, on September 21, 1923, in Tahoka, Texas. She married the love of her life on November 1, 1941 and had three children. She was known as a hard worker and worked at Simon’s Department Store for many years. Many remember her fondly for her contagious smile. She was also known as a fabulous cook, winning awards year after year at family reunions. Sue loved a party or celebration of any kind, whether she was the hostess, the guest of honor, or attendee. Most of all, she was known for the love that she had for God, her family, and her church family. Sue aka “Grandma” or “Meemaw”, lived for her grandchildren and great-grandchildren. She doted on each of them and made sure that they had their favorite treats when they visited her. She was an active member of the Elgin church of Christ, rarely missing a service and loved to teach Sunday School, which she did for many years. She is preceded in death by her beloved husband, Henry Millard “H. M.” Heine; young son, Henry Irving Heine; parents, Walter and Edith Hamilton; sisters, Patsy Adcock, Iva Standard, and Vivian Collins. She is survived by her children, Anita (Ron) Patton and Millard (Carolyn) Heine; grandchildren Cheryl Patton, Van (Kitrena) Patton, Daryl (Erin) Heine, Darren Heine, Shanna (Josh) Oden, John (Marcy) Heine, and Tierra Heine; great-grandchildren, Brandon (Mary) Jenkins, Nathan Jenkins, Cameron Jenkins, McKynzie Jackson, Dawson Patton, Meredith Heine, Morgan Heine, Brooke Heine, Kayden Heine, Macy Heine, and Kayceton Heine; sister, Bobbie Neely; brother, James (Sandra) Hamilton; countless nephews and nieces; several friends, including her close friend and caretaker, Linda Hoover; and the past and current members of the Elgin church of Christ, who she lovingly referred to as her church family. Services will be conducted at the Elgin Church of Christ on Thursday, April 11th at 11:00 AM with Jason Wilder presiding. Interment will follow at the Oatmeal Cemetery in Oatmeal, Texas.